Here at The Yarn Underground, we have a deep passion for all the fiber arts. The focus this week is Spinning and the various wheels we have to offer! As Shelley has been spinning for a number of years, she has a vast wealth of knowledge in fiber and equipment. I am new to the spinning game, just learning in February this year. As most, I started with learning on a drop spindle (which I highly suggest!) but the knitter in me came out, specifically the sweater knitter in me, and I already wanted to make large quantities of handspun for big projects. I love working on a drop spindle but for producing largier quantities of yarn, I decided to invest in a wheel. Luckily, I was able to try out a few different models but as soon as I started spinning on a Schacht Ladybug, I was hooked! For me, Ioved the compactness of the Ladybug and versitility it has to offer. By March, I purchased my first wheel and by April I had made my first "from fiber to sweater" project (because I'm crazy). Now it is October, and I am still in love with my wheel! 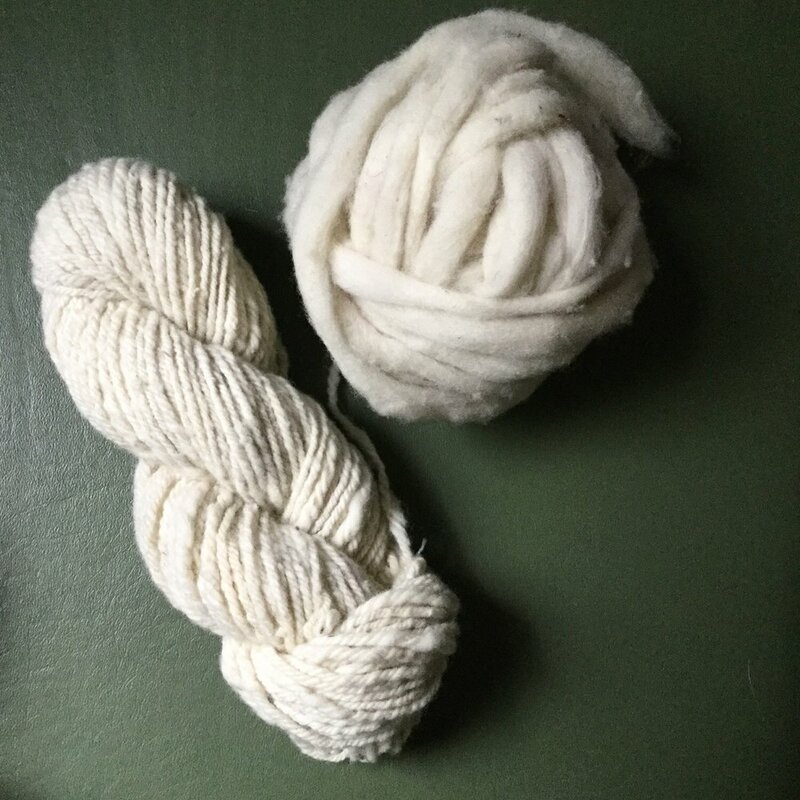 I enjoy being able to spin up sweater quantities of handspun in various weights, discovering the way different sheep breeds spin, drafting techniques, and the many ways of plying. 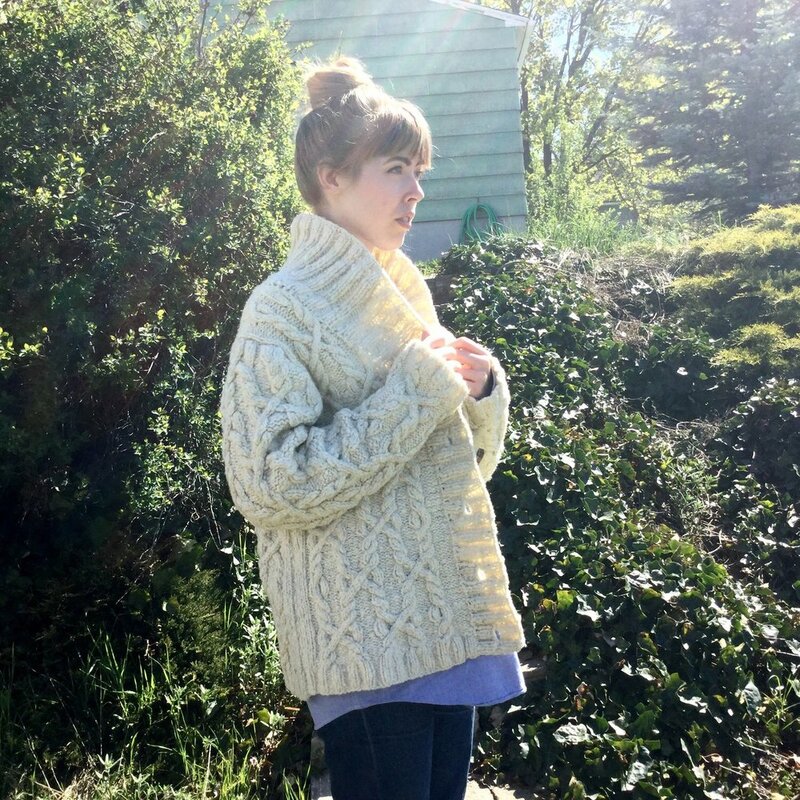 Once I invested in my wheel, it made me more aware of yarn construction when looking at purchasing manufactured yarns and I felt like it made me a better knitter! Ashford Kiwi 2: looking for a travel wheel? Look no further. 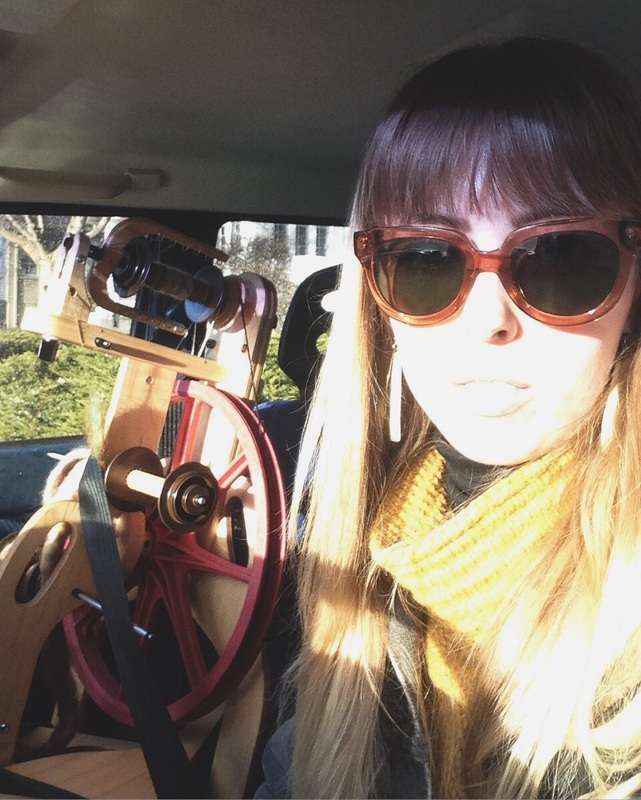 Taking a spinning wheel on the road does not mean it needs to fold-- in fact, many folding wheels are not horribly convenient to set up after traveling, and some are a bit cranky to spin on. Our solution? The Kiwi! Compact, lightweight, onboard lazy kate, and 2 spinning ratios are all included, as well as great Ashford bearings for a smooth treadle. Inexpensive and adorable, the Kiwi is a great beginner wheel and traveler! The Matchless: a tried and true Schacht spinning wheel, this one is the last wheel you will ever need. The heavy solid wood drive wheel is a dream to spin with; this solid quality is hard to find. The Flatiron: this brand new design from Schacht has lots going for it and we can't say enough good about it! For starters, it can be assembled with the flyer on the left (as most saxony wheels are) or the right (which is pretty hard to find). This function is not just for looks, it makes spinning way more comfortable for those of us spinning with the right hand forward! If you are one of these folks, you may think it's just normal to sit sideways to your wheel, or have wretched back pain after a couple hours of spinning fun, but -- it's not. A flyer-on-the-right Flatiron is just the solution for that. With its large flywheel and sturdy legs, the Flatiron can spin a wide range of yarns, down to the finest lace, with ease. I know, we tried it. Summary: try a Flatiron for versatility of assembly and great ergonomics, versatility of single/double drive or bobbin-lead action, and spinning laceweight with ease. These wheels are all in stock, and feel free to come try them out any time!